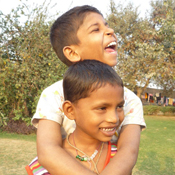 While creating the TYA we established, as part of its dynamic, the Mukti Project, to raise funds for and awareness of, those whose lives are lived without what many of us take for granted: a home, an education, a loving environment. 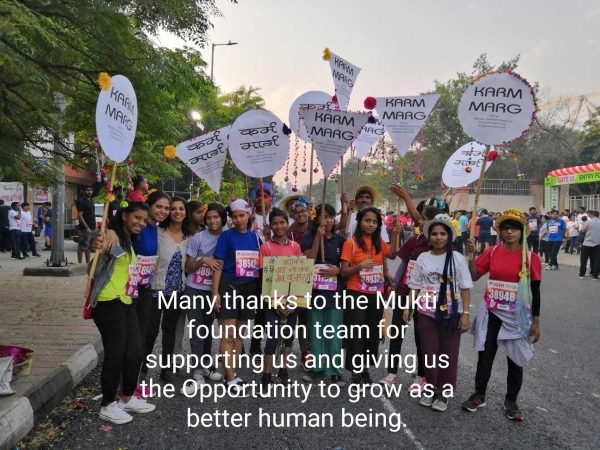 The Mukti Project has supported various projects: schools created on the sites of bonded labour and we worked with the Bonded Labour Liberation Movement (BMM) founded by Swami Agnivesh in our first years, funding schools on the sites of bonded labour. We went on to support Karm Marg ~ a home for street children just outside Delhi; Naz ~ a home for abandoned HIV Positive boys and girls; Maher ~ India’s largest shelter for battered women and their children. Through the generosity of Yogins in the UK and abroad we have sent over half a million pounds to these projects. We do not administer any of these homes, they are organised by loving and committed people in India ~ our work is to raise funds so that their work can continue. We have also been able to contribute to Crisis, Centrepoint and Launchpad in Reading, all charities that deal with homelessness in the UK. It has not been a one-way giving ~ the children teach us that no matter how traumatised, no matter how harsh life has been, compassion can still flow. It has been a privilege to get to know the children and those who organise the homes in India and here, they always remind us of the crucial teaching of Yoga: ‘tat tvam asi’ ~ that thou art. 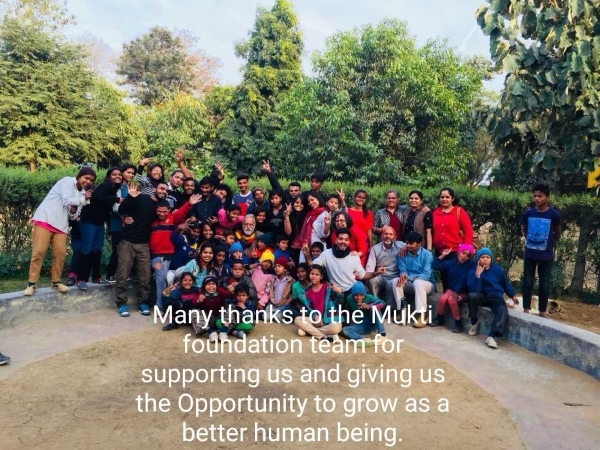 Everyone who works for MUKTI is a volunteer, and none of the funds MUKTI raises goes to salaries in the UK.